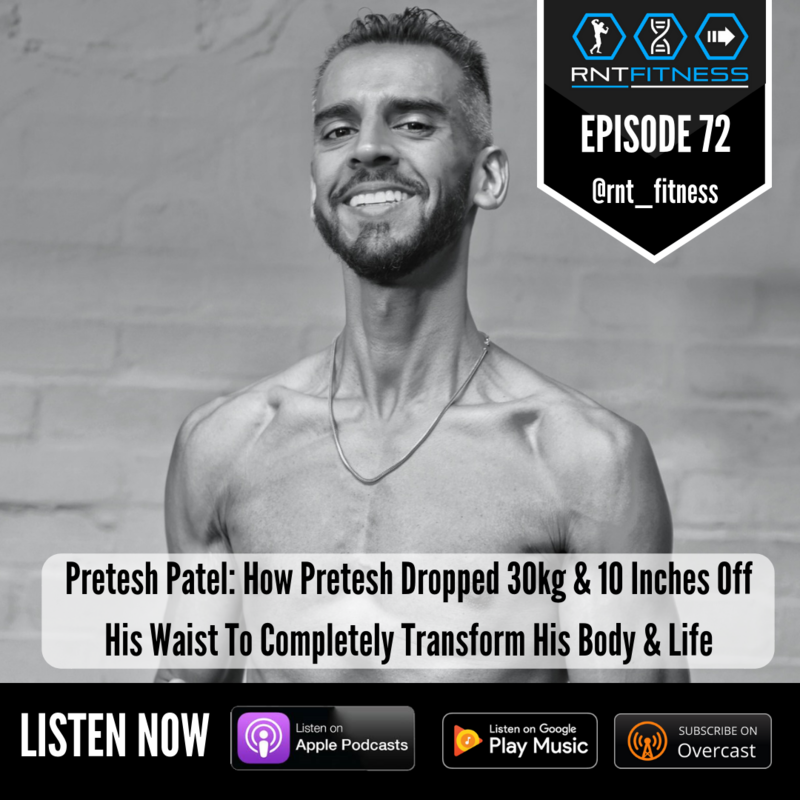 Welcome back to another episode of RNT Fitness Radio, and today I’m joined by one the members of the RNT family, Pretesh. It all started for Tesh when he was having sporadic bouts of heart rate spikes and high blood pressure that were triggering severe pulsing headaches. Luckily, instead of going with prescribed blood pressure tablets, Tesh decided to take matters in his own hands and reclaim his health through improvements in his body composition. He started his journey by dropping his first 10kg in 6 months, and then upon joining RNT, has proceeded to drop another 20kg in 20 weeks. At the same time, he’s also dropped more than 10 inches off his waist, and his doctors and a DEXA scan confirmed he’d obliterated his visceral body fat to practically zero levels! This isn’t just life changing, but life extending. In today’s podcast, we dive deep into the psychological hurdles of a transformation, social stigmas that make it tougher, and how the physical is a real vehicle to enabling transformation in all areas of your life. For any podcast suggestions, or if you’d like to get in touch, please do so on podcast@rntfitness.com here. We’d love to hear from you! 53.33 – What’s next for Pretesh? Is Discipline Necessary For a Body Transformation? Should Women Train Differently To Men?